Throughout the year Burton in Kendal Art and Craft Society holds a number of demonstrations for the members and guest, held on a Monday evening at Burton Memorial Hall in Burton In Kendal, Cumbria. It also arranges for members a number of Saturday Workshops run by experienced artists which allow those attending to enhance their artistic skills or to experience new art or craft techniques. 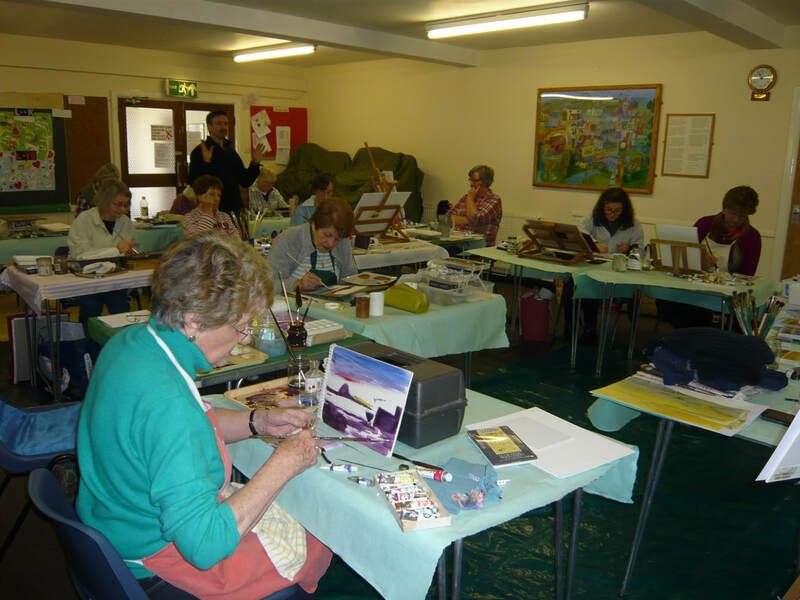 During May the Society holds its annual Art and Craft Exhibition in the Burton Memorial Hall. This is a two day event open to the general public where members and guests can present their work. Image from a previous workshop.